What’s wrong with your swing? We want to hear from you. Our golf professionals are expert instructors that can turn your swing around in just a few minutes on our beautiful driving range. All we need to know from you is, what’s wrong. Send us your swing trouble and we’ll deliver some tips to get you fixed up each month. This month, Ted D. from Cleveland, OH asked : I hate playing in the rain but sometimes I get stuck in it. Is there any secret to playing well in the rain? Great question Ted and the answer is yes. The struggle we all have to deal with when playing golf is concentration. Whether it’s a swing thought or alignment we always have to focus on something to get through the round. Rain is a thief. It robs us of our concentration. What happens when it rains? You immediately become allergic to any type of moisture like the rain is acid and will burn. Your soul purpose in life at that point is to avoid getting wet instead of trying to make a birdie. With these items you can shift your concentration from keeping dry to shooting low. Wear the right gear and you can focus on what really matters. Attention golfers and non golfers! With temperatures starting to cool down in the later part of September, don’t forget about Crow Creek’s Restaurant and Bar’s outdoor patio. 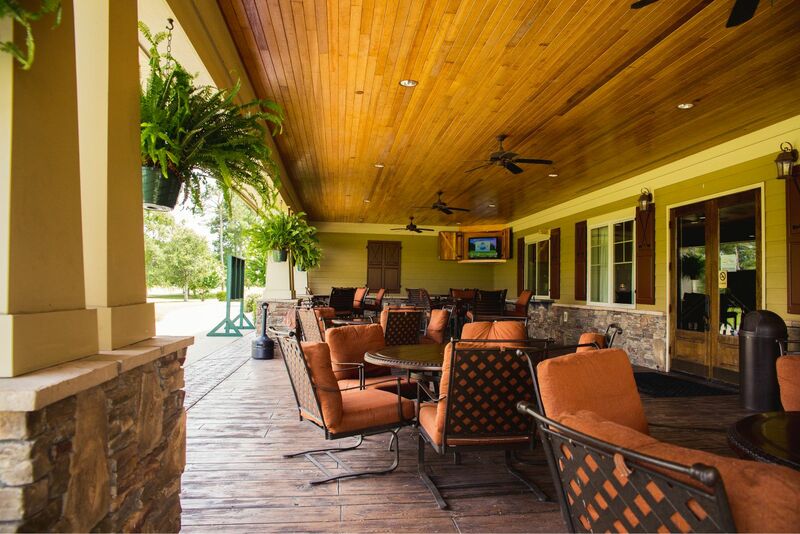 Overlooking the 18th green, the patio has comfortable seating, ceiling fans, a tv, and a practice green just steps away. This is the perfect location for all who want to enjoy a good meal or just relax with a cold beverage. Check out our menu HERE. Come enjoy breakfast and lunch daily! Fall is Approaching! Are you ready? Be prepared for the Fall season temperatures and support Folds Of Honor! 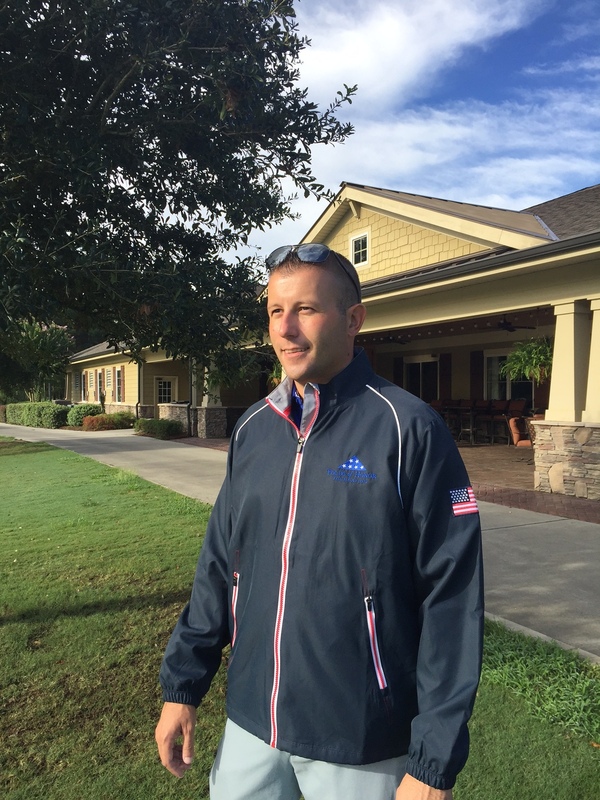 Folds of Honor’s Patriot Golf Day Challenge is September 2nd-4th but these jackets (pictured below) will still be available after the event if there are any left in stock. All profits go to Folds Of Honor. Click HERE to learn more about this event. Crow Creek appreciates your support! Crow Creek Community Does It Again! 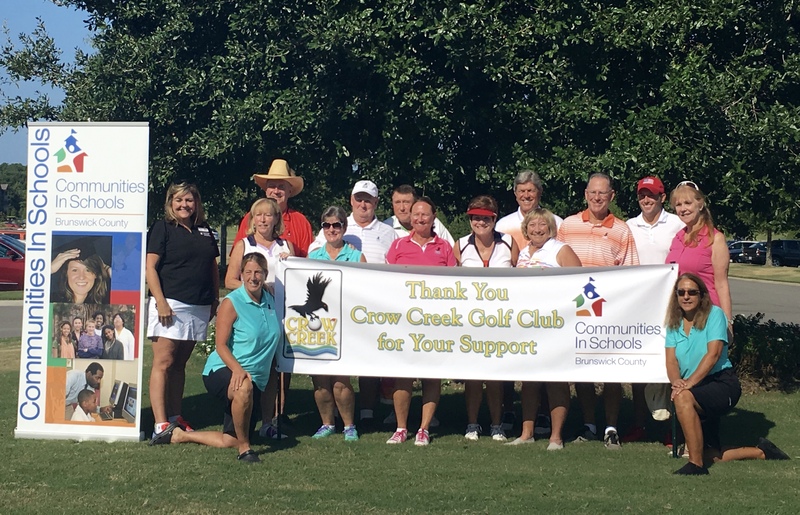 Many members of the Crow Creek Community spent countless hours planning, reaching out, and volunteering to make the 7th annual Communities in Schools fundraising tournament a success. This year they raised $22,500! Communities in Schools is a wonderful organization that makes a significant positive impact on students of all ages. Crow Creek was honored to host this event and very proud of the hardworking, caring residents who live in this community. 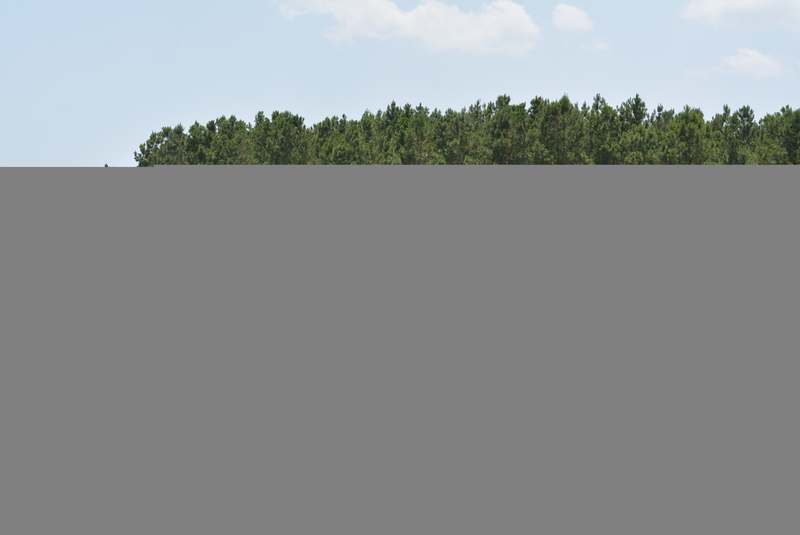 Click here for Crow Creek Real Estate News!